"James and his team have demonstrated commitment, dedication and expertise that has surpassed our expectations by far. 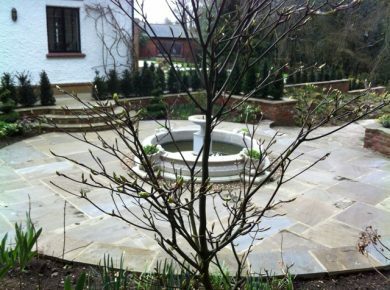 Attention to detail in construction, design and even accounting is what has made all the difference to our garden project. We definitely chose the right team. 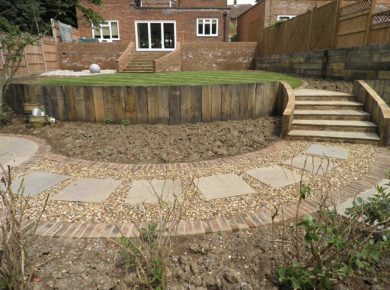 Nothing was too much trouble, and despite the disruption of such a major project all the team have been a pleasure to have working on our gardens." 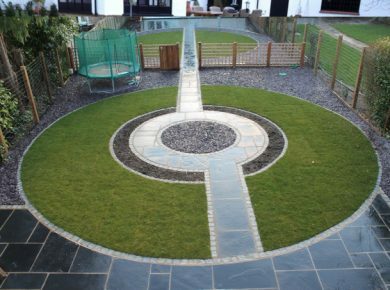 "We cannot recommend Lanwarne Landscapes highly enough. The project management and implementation was impeccable and coming home from work to see the changes on a daily basis was fantastic. 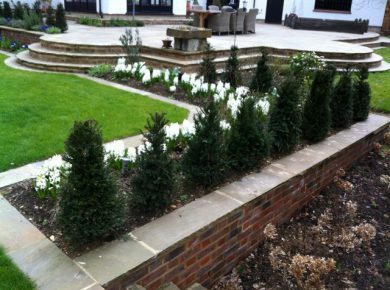 Our garden has been transformed and we are delighted with the result. The team worked very well together and were great to have around and the work was both timely and of high quality." 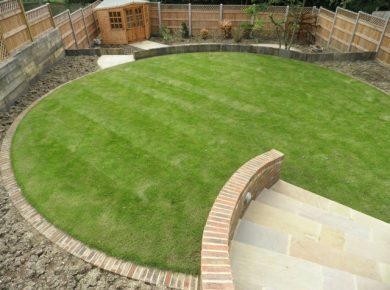 "Lanwarne Landscapes are one of the most professional organisations I've dealt with in any field. The work they undertook for us was completed to a very high standard. James and the whole team are open and very easy to work with. They also added to our thinking in a number of areas which they weren't contracted to complete. 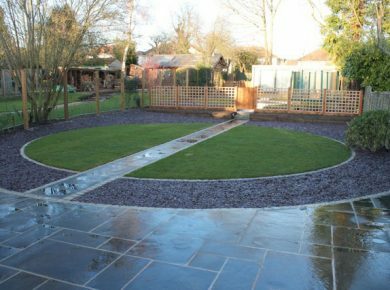 The weather whilst the work was undertaken was appalling and several changes to the project were made after we had started. However the impact of both was minimised. A year on and the garden looks great. I would definitely use James and team again." 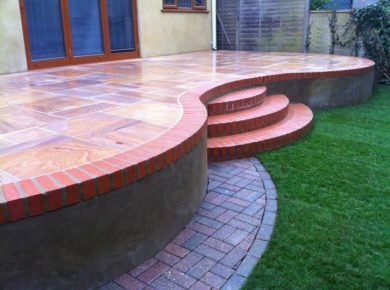 "We are writing to express our thanks for the excellent job you and your team have done to construct our new patio. From the pre-work discussions and advice and throughout the construction period (hampered and extended due to the appalling weather that we had at the start of the year) you kept is informed of your plans and activities. We were very pleased with the way your team went about their work and how they cleared up after themselves each day." 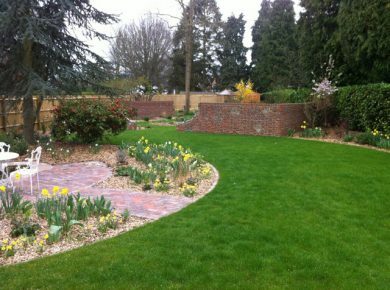 "Lanwarne Landscapes Ltd have completely transformed our garden. Their work ethic was phenomenal always starting early and often continuing on in the pitch dark through December! They were professional, knowledgable and polite and always mindful of leaving a tidy site at the end of the day. 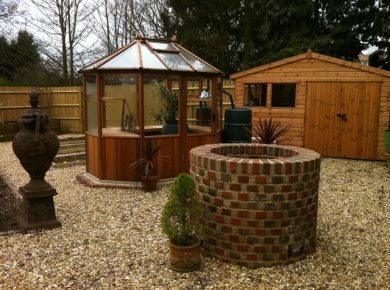 The quality of their work was of a very high standard with enormous attention to detail and getting it right. From their design team to the construction team they have been a pleasure to work with. We are delighted with our new outdoor space. 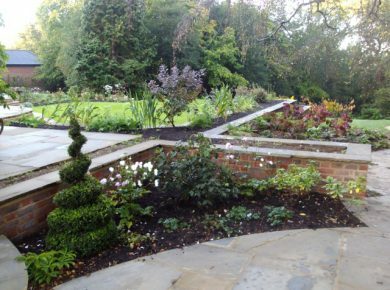 "We are delighted with our sunken Italianate patio, pergola and associated hard landscaping. 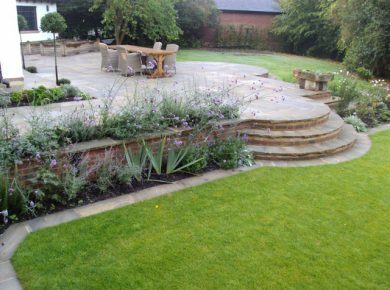 The transformation which took place from the pre-existing linear design into Martin's harmonious curvaceous design has resulted in a garden which exceeded our high expectations. 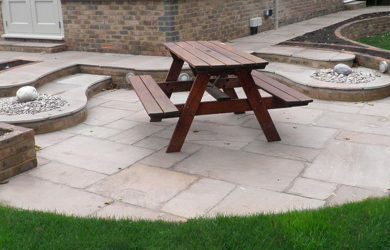 What particularly impressed was the attention to detail and the evident desire to make sure that all of the inevitable issues which arose during the two month construction were completely dealt with to our satisfaction."